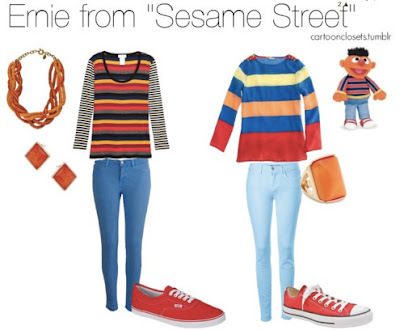 YOU’RE never too old to watch cartoons – especially if they give you fashion inspiration. Our guest blogger Belinda Tan shows us why Dora the Explorer, Archie and even Bugs Bunny could be the next big style icons. In high school, there was nothing more exciting than being able to wear my own clothes on those odd days teachers decided we could forgo our uniforms. I’d actually mark the date down on my planner and think about what I could wear. I would spend hours musing over outfits that would show how fun, cool and trendy I was – and more importantly, how much I so didn’t care about being fun, cool and trendy. Fast forward to the present day, where after five billion years at university, I just want to be able to wake up two minutes before I absolutely have to leave the house, in an outfit that does not reflect my consumer choices or individualism. I mean does everything have to be so political? So, in an effort to make the ultimate anti-conformist fashion statement, I made up my own uniform. Well, not made up, per se. 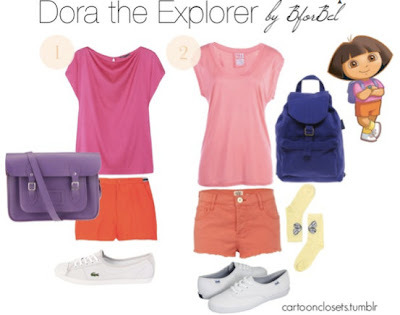 I was inspired by Dora the Explorer. Her style is university-perfect… really. Dora’s bright pink and orange outfit is not only comfortable, but fits in perfectly well with the raging neon trend at the moment. Plus, sneakers for walking around uni! Totally cute and utterly unique. 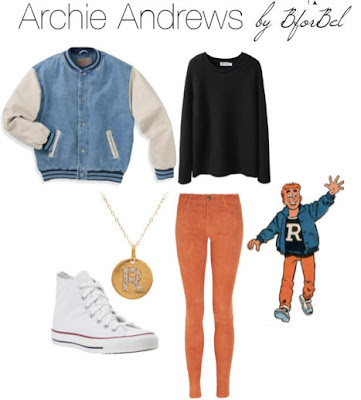 Archie Andrews’ trademark outfit is already perfect for school, since he’s been wearing it to Riverdale High since the ’60s. 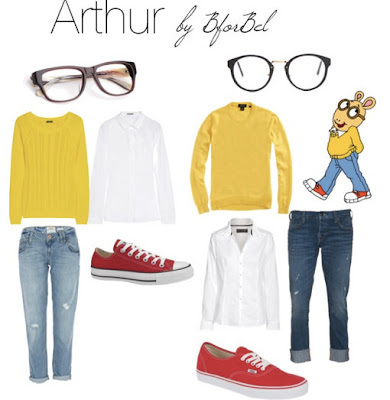 Arthur is displaying all kinds of preppy chic with this collared shirt + sweater ensemble! Also, hipster glasses. And we could all learn a thing or two from Ernie. You can never go wrong with stripes. 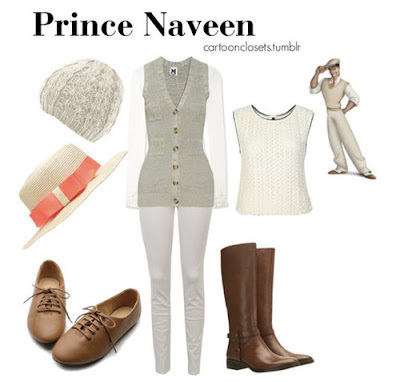 Why not get inspiration from Prince Naveen in the fall? His style is perfect for the season, what with the knit vest, beanie and oxford shoes. 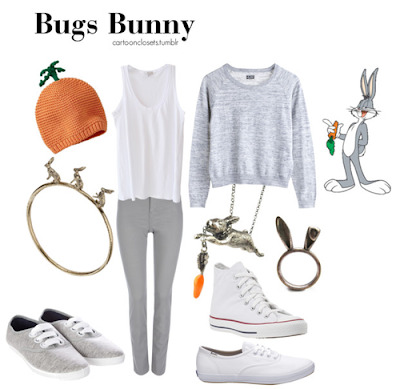 Bugs Bunny’s ensemble is super comfortable – just throw on a warm sweater and your favorite converse high-tops. Finally, I just have to mention Gwen Stacy, not only because her outfit is perfect for class, but it could also get you Spiderman. I swear, fashion and romance are connected. Of course, you don’t have to base your school outfits on cartoon characters. I’ve dabbled in dressing like The Avengers, Batman, Catwoman, all kinds of Disney characters and even social media platforms (dressing like Facebook, anyone?). Belinda gets excited over smiley faces and creative ideas. In her spare time, she trains to be a Ninja, wonders about the genetic similarities between unicorns and rhinoceros and enjoys discovering new hiding places. She also sneezes in even numbers, doesn’t like coconuts and uses spell checker to spell rhinoceros. Find out more about her adventures on her blog.